There’s no question about it: the Perks Family is passionate about bicycles. What’s more, they’re committed to high quality goods made in the good ol’ USA. 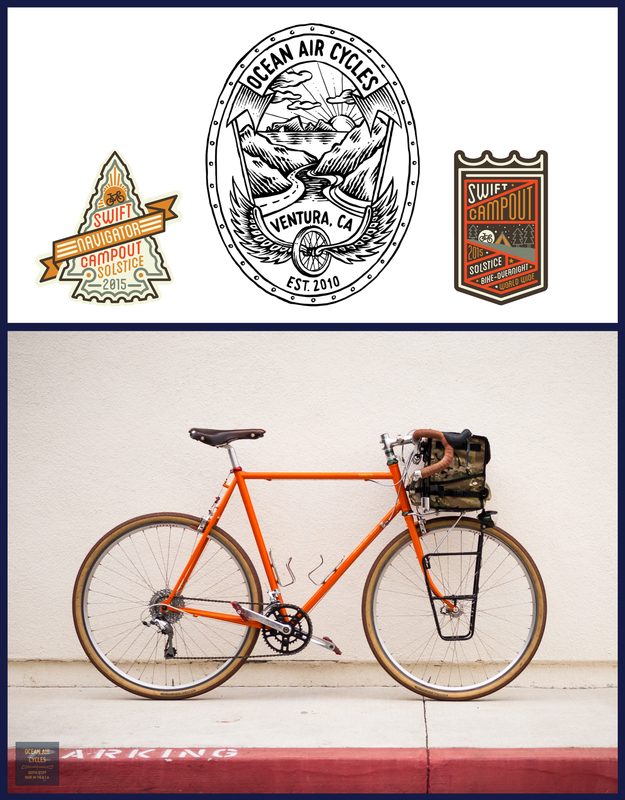 We’ve been honored by the opportunity to work with the Ventura company on the Ocean Air Cycles X Swift Industries Docena Demi-Porteur Bag. The morning ritual of #coffeeoutside spread like wildfire when Rob shared his weekly routine and now folks all over are inspired to get out and gather with friends new-and-old for morning coffee in a beautiful spot. Whether you’ve been following the family grow and the business from its inception, or if this is the first you’ve heard of the mom’n’pop company, I think you’ll love the insight Rob drops about Ocean Air Cycles. Pedaler’s Fair this Saturday, May 2nd! Our showroom will be CLOSED on May 2nd because we’ll have a booth at Pedaler’s Fair! Come visit us there and check out what Washington’s bicycle craftspeople have been making. 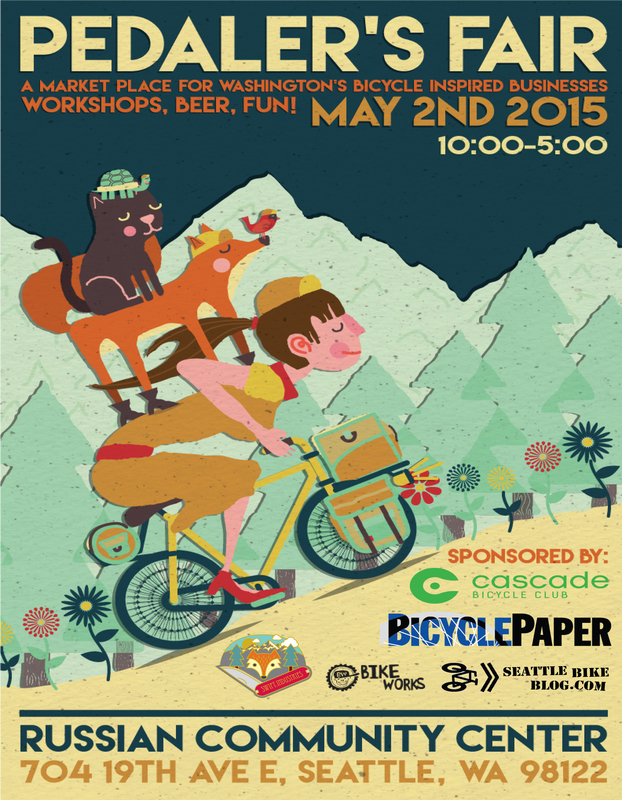 Have a beer, stay for the Path Less Pedaled’s Bike-Fishing Presentation, and more! There’s no better match than Swift Campout and a homegrown touring company in San Francisco called Pedal Inn. When the founders, Nick and Lindy, discovered their love for travelling by bicycle they set out to share their delight with the public. 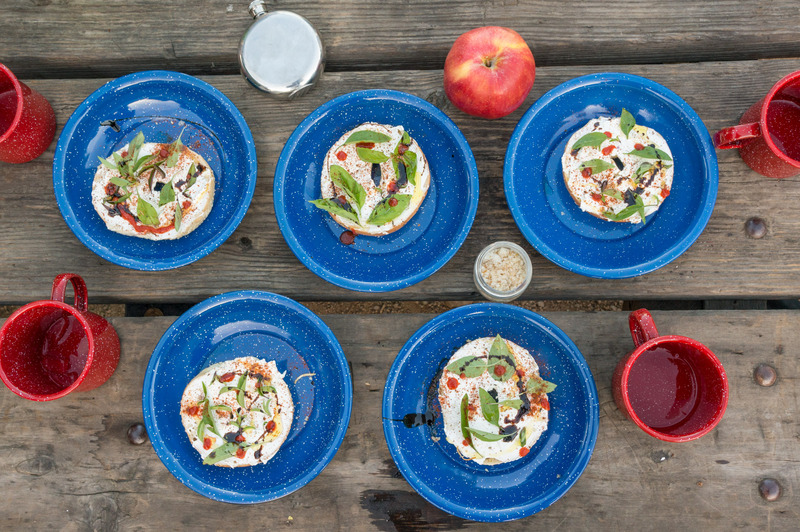 When we discovered Pedal Inn it was in the form of a beautiful bike-camping recipe book the duo published called the Pedal Inn Weekender. Nick and Lindy’s passion for food, cycling, and the social and geographic connections that come with bike travel, shone through in their compilation. We were smitten! Pedal Inn is about sharing our passion for bikes, cooking, and the outdoors with everyone. 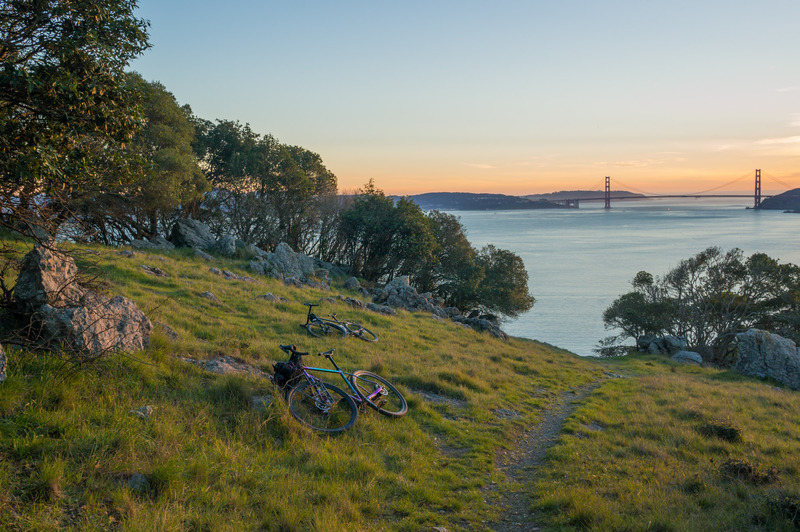 We offer bike camping tours based out of San Francisco to the most captivating nature destinations in the Bay Area. We’ve crafted what we believe is the perfect all-inclusive, active outdoor adventure for locals and visitors alike. We supply the camping gear, adventure bikes, food, expert guides, and all the special details in between. We believe in setting off on bikes and going camping as way to excite people’s spirit of wonder and adventure. By slowing down and staying local, possibility and discovery abound: nature tells a story, you get a unique perspective on a place, the food tastes even better, and you’re able to reconnect with what really matters. 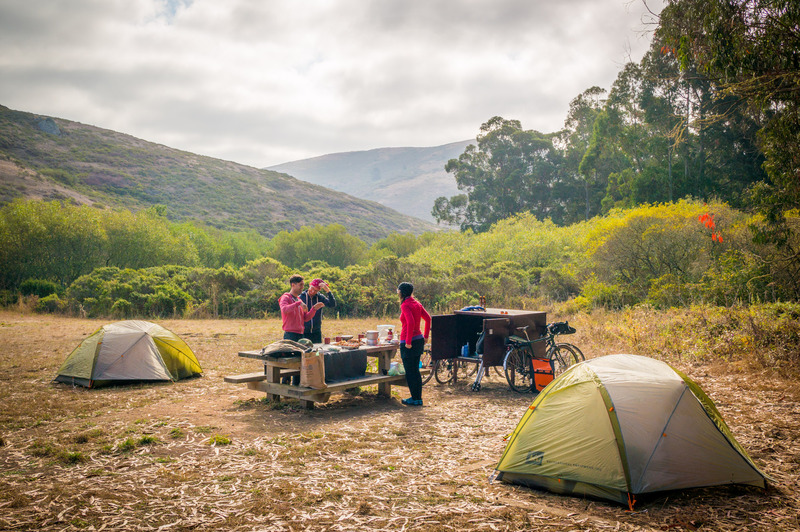 Pedal Inn brings the full experience together, makes it accessible, and shares it one memorable overnight Bay Area bike camping tour at a time. We feel really lucky to live in a place like San Francisco where a bike can take you to a diverse range of environments, all with a distinctly beautiful perspective on nature. It’s what inspires us, keeps the ideas flowing, and rewards the effort we’ve put into the Pedal Inn. Every tour we go on has those Aha! wilderness moments that surprise us, bring new discoveries, and make us forget we just rode in from the city. Apart from our Swift panniers, we packing the usual camping kit necessities but with a few extras stashed in to liven things up. You’ll find a couple Trangia stoves for cooking, a pretty extensive camp kitchen (with lots of spices), aluminum foil, strands of LED lights to set the mood, Alite camp chairs, a weather-beaten Japanese hatchet, Nick’s harmonica, our trustly Olympus OM-D camera with vintage glass, a smallish tripod, and plenty of Four Barrel coffee. Of course, we’ll also be stopping along the way to pick up essentials like cold beer and a bottle of whiskey to share. We don’t put too much emphasis on packing light, rather we follow our interests, stay comfortable, and eat ridiculously well ‘cause it’s only one night and we want to do it in style. Looking for a stellar spot for your Swift Campout? Pedal Inn’s top choice is Tennessee Valley in the Marin Headlands, about 20 miles from the Mission District. You can strike out from San Francisco on a tour through the city, including Golden Gate Park and the Presidio, before crossing the Golden Gate Bridge and taking in sweeping views of the Pacific. From there it’s biking paradise on the waterfront trails and sublime bike path of Marin County. Tennessee Valley is a short turn from the Bay, nestled between rugged, wind-swept hills with the campsite nestled in a tranquil little valley. There are some great trail riding with fun rollers that reveal a small, untouched beach that delivers some of the most memorable sunsets anywhere. It’s part of a vast network of protected parkland that makes up the Marin Headlands and features some of the best trail riding anywhere. 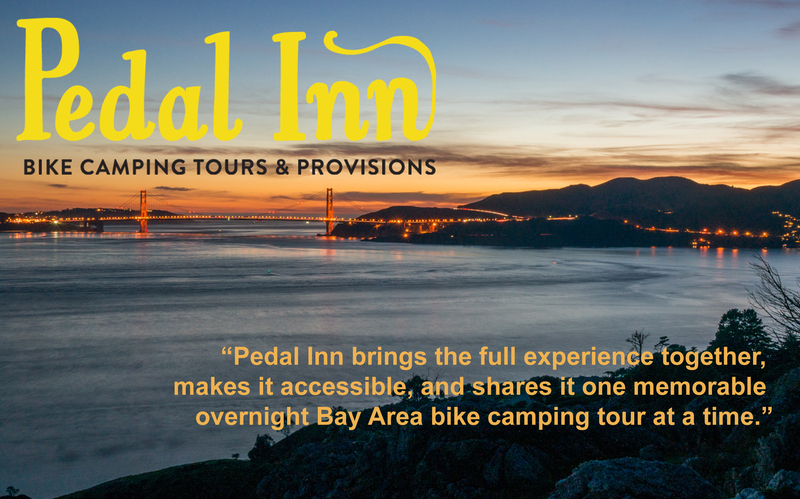 Go on and check out an outright celebration of Pedal Inn and bike-camping in and around the Bay Area! Get ready to hit the road with three introductory courses taught by the adventurous folks at Swift Industries. Sign up for individual classes or go whole-hog and register for the entire series. If you love camping and you have a bike, then combining the two will open the doors to a whole new way to travel. 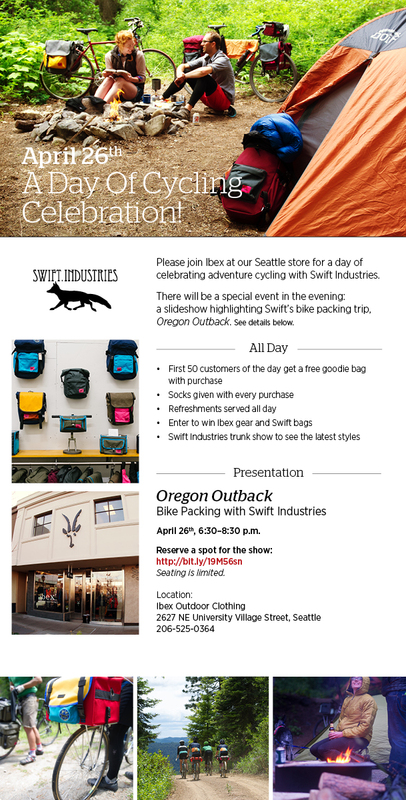 Come learn the Bike Camping Basics touring at Swift Industries on Saturday, March 28th. We’ll cover the basics of bicycle adventure planning from route finding and local destinations, gear and equipment, and food planning. Food is fuel when you’re adventuring by bicycle! 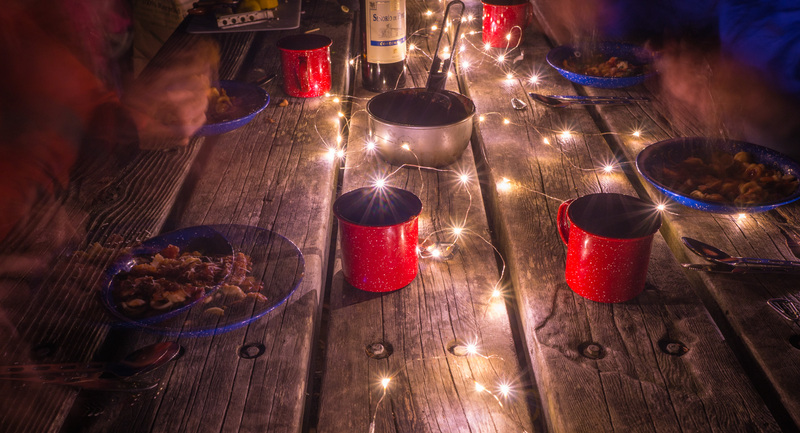 Cooking on a small “backpacking” stove has its limitations, but there are amazing ways to broaden your culinary horizons in the Camp Stove and Backcountry Cooking class! Think backpacking stoves, one-pot meals, and titanium sporks. Led by Jason Goodman, a former mountain guide, and a stellar backcountry cook, you’ll learn how to put together the perfect bicycle touring kitchen, and find out which backpacking stoves and fuel types are right for your adventure. The Get Lost Academy series finishes up with a closer look at mechanical skills you’ll want under your belt if you’re hitting the road. The Trailside Mechanics class will help you confidently address snapped spokes, a broken chain, or an en route derailleur fail. In this workshop we will look at specific tools and tricks of the trade when these mechanicals catch you by surprise. The first rule of traveling in Nepal is: don’t bring anything. Famous last words on some adventures, but literally true in this populous, mobile, friendly, and enterprising nation. Even the smallest hamlet has a “tea house” or lodge. And while the accommodations are basic to say the least – generally not too different from camping – they are extremely cheap. 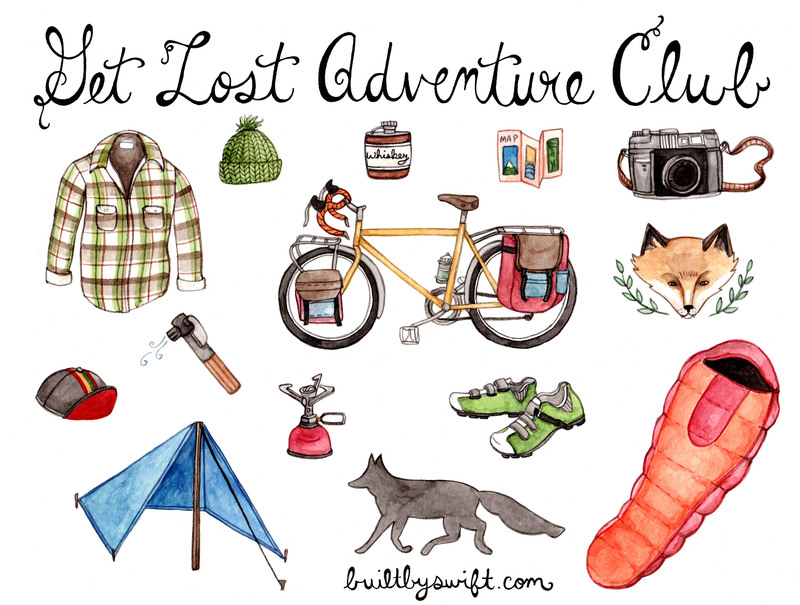 It’s sort of like a cross between bike-packing and credit card touring. Since my style of travel leans heavily towards self-sufficiency, it took some getting used to. We set out from New Delhi, India, a bit overloaded and determined to get out of the heat and crowds by heading into the Himalaya as quickly as possible. We pumped up our tires, oiled our chains, and put in long days toward the border. Characteristically we had done no research about Nepal. We didn’t even have a map. 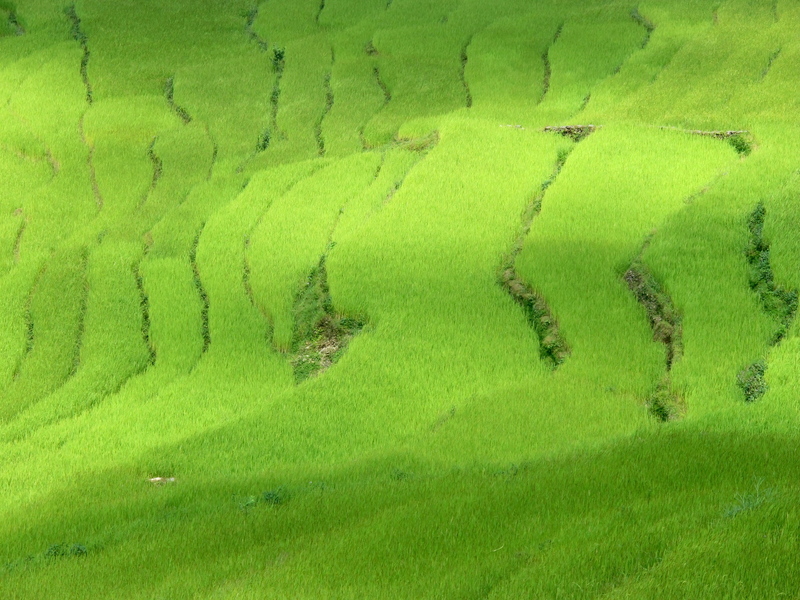 So all the rice paddies, water buffalo and houses on stilts came as something of a surprise. As it turns out, Nepal has rather a lot of jungle lowlands. Complete with elephants, rhino, and tigers –or so we were told –we never saw any. The lowlands were beautiful and culturally diverse, but hot and humid, and the mountains were calling. So we kept up the long days, stopping only to swim. Making tracks for Annapurna, one of the two places we knew by name in the country (the other being Mt. Everest). 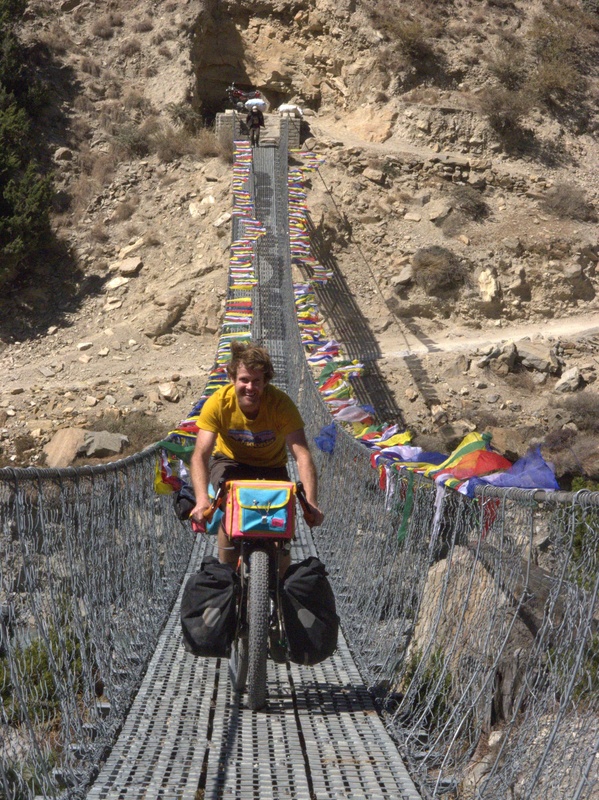 Matt had joined me in India largely because l was there (bike-packing in Ladack and Kashmir) but his interest was in Nepal. And its legendary mountains. Several weeks in, and halfway across the country, we had seen exactly one other bideshi (or foreigner) so it was something of a shock to arrive in the idyllic tourist town of Phokara. Not only were there signs we could read, plenty of foreign travelers, fancy hotels, internet cafés, and other trappings of a world-class travel location; but restaurants which served food other than Dal Bhat: the national food of Nepal. We tarried for a week by the shores of a famously beautiful lake nestled among the foothills of the Himalaya, enjoying the wonders of western civilization, like espresso and salad. According to our map, the route out of town was supposed to turn from jeep track to trail soon after Beni. But as we fought our way uphill on a dusty dirt road — full of slippery rock and loose cobbles– it became clear that the path was a rather popular motorbike destination. We were sharing the road with hordes of motorcyclists flogging totally inappropriate slick-tired street bikes up this decidedly difficult jeep track. The mottos were often doubled, and always right on the edge of out-of-control. I suppose l sound a bit curmudgeonly when l say I’m not sure if the popularity of the road was blessing or a curse. What I am sure of though, is that it led through some wild and beautiful country always in sight of snowcapped peaks. After a few days of continuous steep climbing, we reached the end of the road where we took a rest-day to acclimatize. One rest day turned to two when we awoke to a nasty snow storm. We settled at the BobMarley hotel, eating what is quite possibly the best apple pie in Nepal. 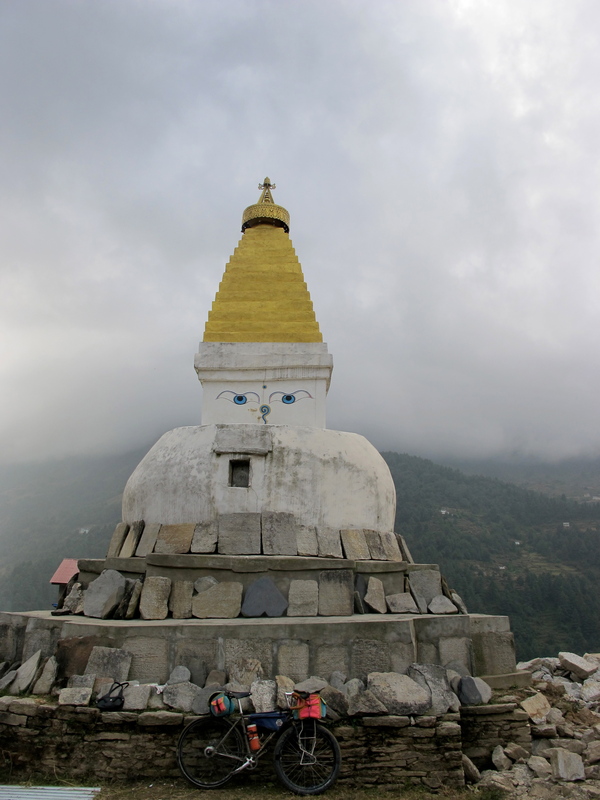 Fascinated, we watched pilgrims struggle past on their way to Mutkinath temple who moved along–suffering from altitude sickness and half naked in the freezing storm. Several appeared to be clad only in trash bags and shower sandals. Sadly, the shivering pilgrims weren’t the only ones put out by the unseasonable storm. Some three-hundred tourist trekkers (and their guides and porters) decided to attempt the 5,416m (17,769 ft) pass despite the snow. Sixty people died in the blizzard. We watched as the survivors struggled into town, heroically carrying the weaker members of their teams. The next day dawned cold and clear, turning all the slush into spectacular ice and rendering the trail impassible without crampons, especially while dragging bikes. The police closed the pass and set out on search-and-rescue missions.It was time to turn back and drop our gear in Katmandhou, with aims to head toward Mt Everest. Our route to Everest dropped to 300 m above sea level before climbing to 4,000 meters at which point the road become passable only by foot. We ditched our bikes, gathered a few belongings, and set out on foot towards Mt. Everest. The unconventionally sparse gear we carried, coupled with my bare feet, made us the talk of the trail. We ended our trek in the unrivaled mountain beauty of Gokyo, a cute little town nestled between the worlds longest glacier and some stunningly beautiful sacred lakes. Back at our waiting bikes we discovered that some unscrupulous passers by had lightened our load for us. Our bike bags were empty, so we made our way back to Katmandhou without even a patch kit to weigh us down. 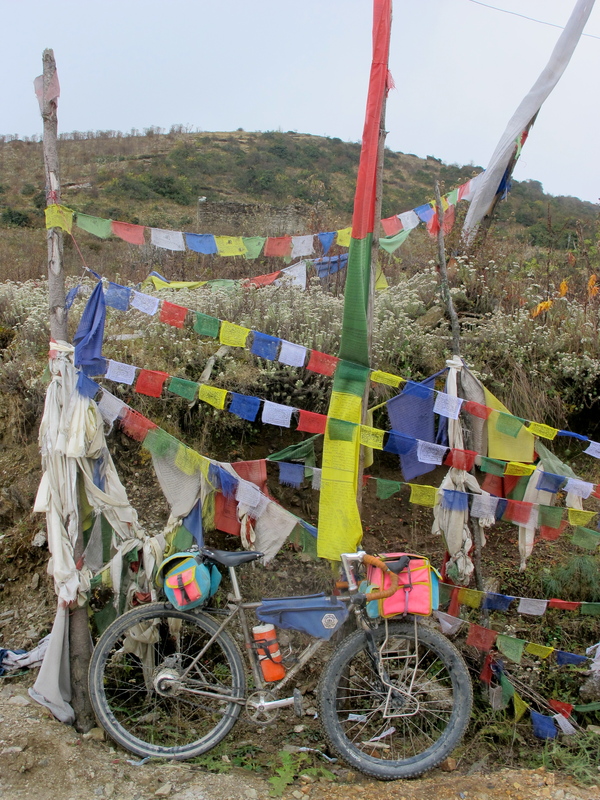 Fast and light is just the way to do it in Nepal. 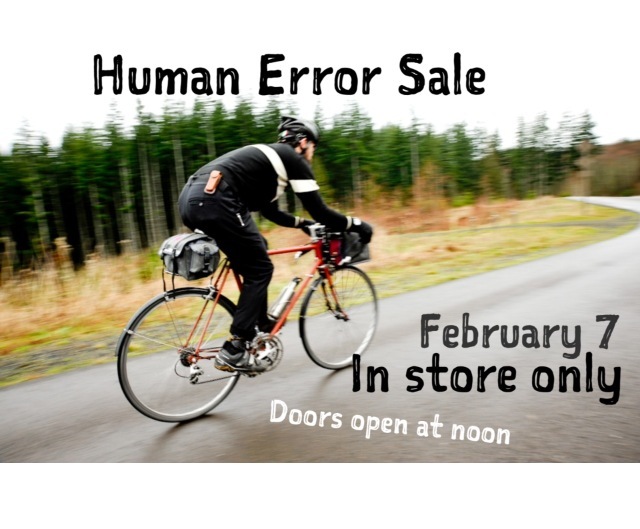 February 7th, 2015, noon to 5pm. Swift Industries Headquarters 1415 NW 49th St, Seattle WA. We sell all warranty bags, prototypes, seconds, and field tested baggage for really darn cheap. Bring cash and arrive early. It was wanderlust, a yearning for adventure, and the monotony of the day-to-day that led us to the Great Divide. We just needed to get out, explore, and take a break from reality. With our love of bikes, photography and adventure, we knew that the GDMBR would be the route to satiate this desire for adventure. For those unfamiliar, the Great Divide Mountain Bike Route is the world’s longest continuous mountain bike trail, stretching form Banff, Canada all the way down the spine of the Rockies to Antelope Wells, NM. It is approximately 2750 miles and has nearly 200,000 feet of climbing. The seed was planted a couple years ago when we both watched Ride the Divide, a documentary that followed the race back in 2010. This year we got more and more committed to the actual task and set to make it happen. On August 19th, surrounded by snow-capped mountains, we found ourselves in Banff, putting together our Surly Ogres in a empty lot on the top of a parking structure. It was real and finally happening. Taking off on the Divide that day, we were excited and a little overwhelmed. The thought that we were actually going to ride our bikes from Canada to Mexico was a bit daunting. Not only did our bikes feel too heavy (70 + pounds) and the fact that we were taking the hilliest / mountainous, gnarliest route possible, but we also had never done anything on this grand of a scale before. Sure we ride our bikes a lot, and have done some camping and a few bikepacking adventures. But these were all limited to areas around the Greater Washington DC area, with re-supplies and cell phone service readily available to tackle any issue that may arise. Now we were embarking on a self-sufficient sufferfest in some of the most remote regions of the country. There would often be days and hundreds of miles between any kind of services. We had to plan accordingly and keep to a strict schedule. If we had any aches or pains, we would just have to deal with it. If we felt like quitting, which, in all honesty, happened on occasion, we couldn’t. It would have been logistically impossible. That was sort of the beauty of this ride, there were very few options to give up. It forced us to push on past limits, to learn and grow. Even when we were feeling the most down, we would keep riding, trying to always finding the simple joy of riding bikes. We would always push through the pain and the landscape would reward us. We would ride through threatening storms, miles upon miles of headwinds, treacherous roads conditions of all kinds and climbs that lasted an eternity. But then all of a sudden, like clockwork, the weather would break, the headwinds would subside, and the roads would become bearable. The most beautiful sunset, an amazing view, or an epic descent seemed to always greet us as a reward for a long day in the saddle. All of our anguish and troubles would vanish, and there would be nowhere else we would rather be; no place else we were supposed to be. One such day, after a taxing 113 mile ride out of the Great Basin, all we wanted was a rest day. But the logistics ahead looked a little tricky and we would not be able to take it easy. The forecast called for a large storm later in the day, coming down from the north. Our goal was to make it 75 miles to Slater, CO where we thought we would be able to camp or find additional shelter if it were to snow. After getting groceries we set out and climbed straight away. After cresting the top of an enormous, straight hill, we entered a 27 mile construction zone. It was a mess. We dodged construction vehicles, tractors, semis and all the huge ruts they left in the loose dirt. The few mandatory stops didn’t help in the way of our anxious feeling about the weather, as the construction workers kept warning us about the incoming snow. We kept at it, and after what seemed like an eternity, we exited the steep and rugged ups and downs of the construction area, and entered the National Forest. It had taken us much longer than expected and we were talking about readjusting our ride for the day when we came across a pair of northbound riders. This husband and wife duo spent a couple weeks each summer tackling different sections of the great divide, and were really enthusiastic about it. It honestly felt like a halftime pep talk. Their energy was contagious and exactly what we needed, as they told us of a epic decent just ahead and about Brush Mountain Lodge, a hunting lodge that was cyclist friendly. Although it was late and we would still have well over 30 miles to go, we were pumped and felt great. On the divide such simple things as an energetic and enthusiastic stranger can change your whole outlook after a long frustrating day. We finally stopped for “lunch” around 5:30 in Aspen Alley and enjoyed the beauty of this natural attraction. For about 1/4 mile an aspen grove lined the narrow road. It was quite a juxtaposition to see logging truck after logging truck pass through the narrow corridor, each hauling a load of freshly cut trees just past the beauty of the living. Soon we were back on our bikes and reached the paved highway 70. After a short climb, we began one of the most glorious decents of the whole trip. It was at this point that all our worries faded away. The clouds and threatening storm had vanished and we couldn’t help but smile the entire way down the 17 mile descent. We were flying as we dodged herds of cows and basked in the warm golden light of the sunset. It was peaceful and soothing, our minds were quiet. We finally bottomed out and back on dirt roads we began the long 13 mile climb to the fabled Brush Mountain Lodge. There were a few steep sections but overall the grade was mellow, but despite our best efforts the last few miles were through the dark. We were tired, having almost ridden 90 miles on the day, and the temperature was dropping. There were lights off in the distance, but they seemed to conflict with the milage we were following. Trying not to get down, we pushed on and suddenly around a turn, there the lodge was. The fire pit in the front yard was inviting and after resting the bikes against the rack, we went inside to ask about rooms. Kirsten the owner ran over greeted us with hugs, introduced us to other staff, and sat us down at the table, quickly bringing out pizza and beer. It seemed like a dream. Their kindness, generosity, and passion for the GDMBR was incredible. We spent a good while hanging out, talking about bikes and the Tour Divide (Brush Mountain is a huge supporter and major stop for the racers), before getting cleaned up and taking advantage of the hot tub!. It was the most awesome ending to a hard day in the saddle. The Great Divide is a magical place. Sure we had our ups, downs, aches and pains, but we wouldn’t change our experience for anything. It was an epic adventure. All the people we met along the way were kind beyond belief. You couldn’t help but appreciate it all and want to better yourself, paying it forward. Experiencing all the various types of terrain on a bike really makes you feel connected with the landscape. The constant change in scenery was amazing and to be so present in nature for so long was incredible, priceless. Matt and Brett are photographers and adventure seekers that met at Brooks Institute of Photography where they received their B.A. in Visual Journalism in 2009. Currently they reside in Washington, DC where they ride bikes and explore the dirt trails the area has to offer. Their wanderings are documented at A View From Two Wheels. Swift Industries disclaimer: I think it’s important to note that Matt and Brett may have truly maxed out the Rixen + Kaul KlickFix System. 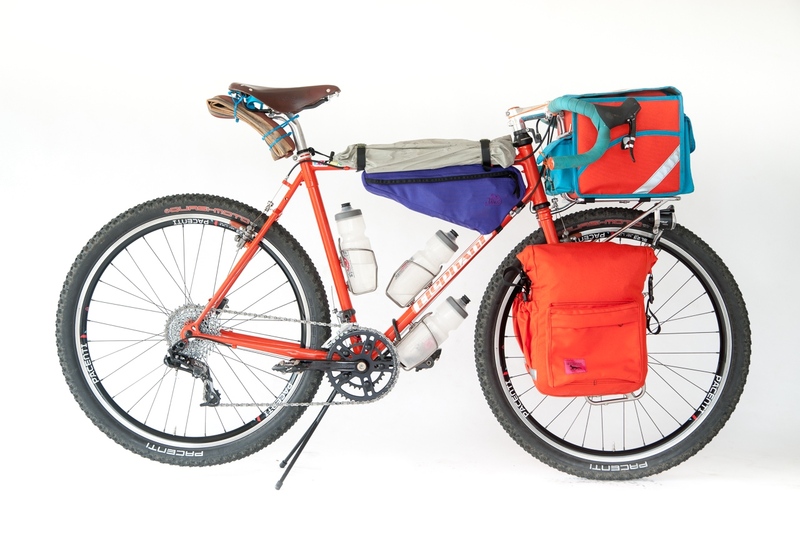 They both used our Paloma Bar Bag, which mounts using the Rixen + Kaul hardware, and broke 4 aluminum frames over the course of their journey. It’s safe to say that we don’t think the Rixen + Kaul Klickfix Adapter is designed for the epic trail conditions on the GDMBR. It was worth trying, though! Sign up for this Happy Hour Clinic at the Swift Industries Showroom. Join us for a beer and then learn how to make your very own Beer-Can Penny Stove! Penny Stoves are a light-weight piece of equipment that are perfect for bicycle camping, coffee outside, and backpacking. Jason, the Swift Industries shopkeeper, will take you through the process of making your very own penny stove, and he’ll share tips and tricks for fuels and design to make your beer-can stove run evenly and efficiently.